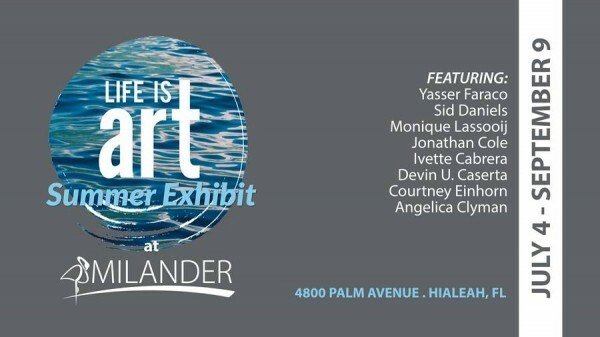 Life Is Art Summer Show at Milander Kick Off at Hialeah’s 4th of July Celebration! Life Is Art is excited to join the City of Hialeah and Milander Center for Arts and Entertainment to present a curated show of South Florida artists. The opening night of the show coincides with the massive 4th of July party put on by Hialeah and Milander Park.. Enjoy the artists reception inside the Center from 5-7pm, followed by a huge outdoor festival and fireworks! Get there early for good parking.